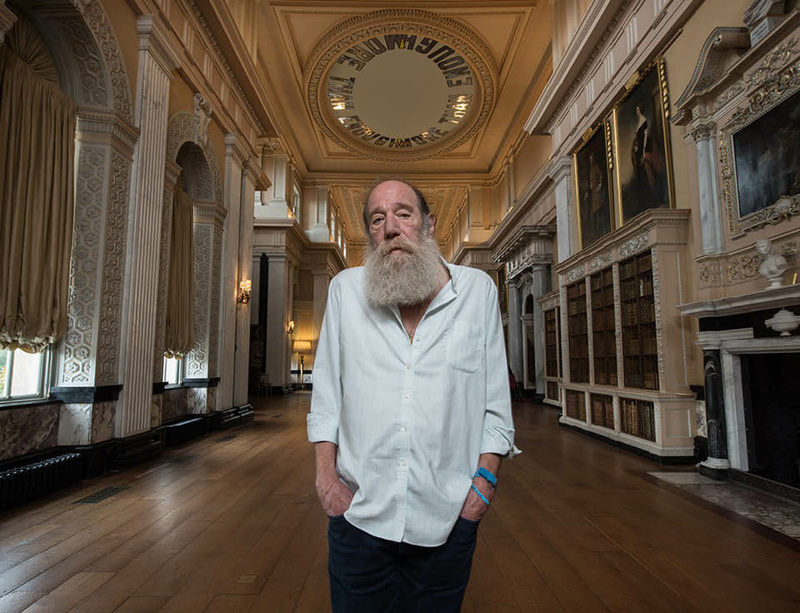 Opening on 10 October, the exhibition Within a Realm of Distance features works by Lawrence Weiner created over the last several decades, alongside significant site-specific works made especially for Blenheim Palace, the birthplace of Sir Winston Churchill and UNESCO World Heritage site. Conceived by the artist in close collaboration with Blenheim Art Foundation and co-curator Christian Gether, ARKEN Museum of Modern Art in Denmark, the exhibition integrates Weiner’s work throughout the rooms of the ornately furnished Palace, as well as the monumental exterior of the 18th century building. Existing as an idea rather than a physical object, work in the exhibition demonstrates the artist's practice of using language as a medium to create sculptural forms and provides a unique opportunity for visitors to experience Weiner's work in tandem with the rich heritage of the Palace.